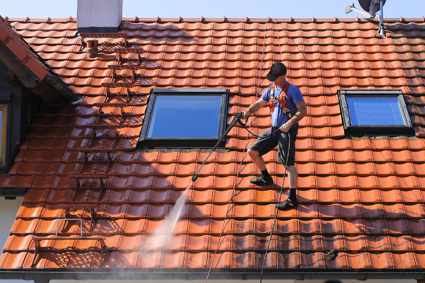 Gutter-Vac Mornington Peninsula offers professional and courteous cleaning of commercial and domestic gutters, roofs, ceiling cavities, downpipes and blocked stormwater lines/sumps. Here at Gutter-Vac our operators are trained experts who provide exceptional cleaning services. All of our operators are trained in height safety and hold comprehensive public liability insurance. Gutter-Vac is committed to customer satisfaction, in fact, we guarantee it! All of our operators are friendly and courteous and will treat your property with the care and respect that it deserves. So you can relax while we quickly and safely vacuum clean your property. Without regular cleaning of your gutters, your gutters will have this debris build-up that can and will cause irreparable damage to your gutters – even the top of the line gutter systems. Also, when your gutters are full of debris, they will not do the job that they are intended for, which is to take the rainwater AWAY from your home. Instead of the gutters taking water away, if they are full of debris, they will, in fact, deliver this rainwater directly into your home causing water damage to your home over time. At Gutter-Vac Mornington Peninsula we know that gutter maintenance is essential to prevent damage to your home. We can even provide you with a roof inspection report on the state of your gutters and roof plus also discuss and schedule with you a preventative maintenance plan for future gutter cleaning.